Invisalign treatment is the new standard in general dentistry for orthodontic treatment. Clear, removable, comfortable — we describe Invisalign in ways that are never used for describing braces. Options include full treatment, partial treatment and express treatments lasting no more than ten weeks for specific problems with your smile. The Six Month Smiles system is standard orthodontics applied to cosmetic problems. 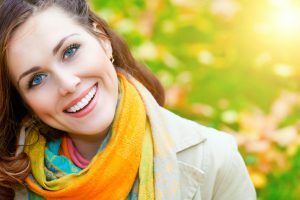 An embarrassing crooked tooth or any other straightforward problem is rapidly solved with this procedure. The braces are colored to match your teeth and the process is designed to be completed in about 180 days. Braces are still the best system for a very complicated malocclusion (the dental word for a bad smile or bite). Other people prefer braces because they have to wear them, unlike Invisalign, which is removable. Propel is a technique for speeding up orthodontic treatment. An eighteen month process generally takes nine months with Propel. A one year treatment can be finished in six months. Propel works with any orthodontic procedure and is proven effective. No matter where you had your orthodontics installed, the Yuba City Dentistry Group can help you with Propel.